Cherokee NC is a fascinating blend of modern tourism and a traditional Indian community - can one survive today without the other? Don't let Cherokee's many strip shopping centers or casino distract you from the beauty of a people whose lifestyle began over 8,ooo years ago. Visit the Cherokee Indian Museum, the Oconaluftee Indian Village and Unto These Hills, a live theatre re-telling the Cherokee history. 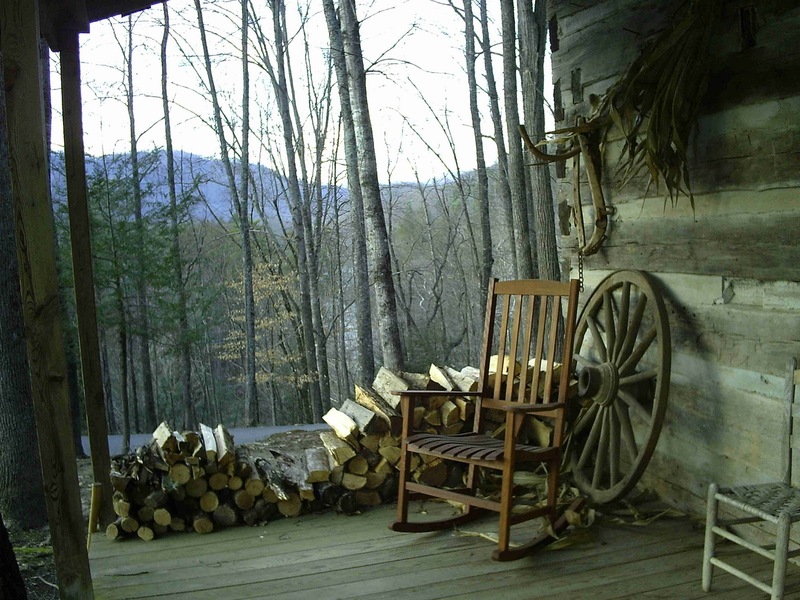 Stay in a Cherokee NC cabin and enjoy the pristine beauty of the Great Smoky Mountains. Dancing Stones Log Cabin is an 1800s restored mountain view log cabin with wood-burning fireplace, AC, waterfall fountain, rocking chairs, cable TV/ DVD, full kitchen, WIFI. Sleeping loft with 1 full-sized bed. Located on the Cherokee Indian Reservation near the Great Smoky Mountains National Park. $75 night, $450 week. Harrah's Cherokee Casino and Hotel - The 21 story hotel offers 1108 guest rooms including hair dryers, coffee makers and 42-inch HDTVs. There are eight suites in the Mountain Tower, 21 suites in the Soco Tower and 78 suites in Creek in Creek Tower opened in April 2011. Common amenities include indoor swimming pool, fitness room, free parking, onsite restaurants. Restaurants include Paula Deen's Kitchen and the Lobby Cafe. Casino action ranges from brand-new games and slots to dazzling favorites like Digital Blackjack and Baccarito. Rates from $79. Hampton Inn Cherokee - Guest rooms, complimentary breakfast, seasonal outdoor pool, laundry facilities, WIFI, express check-in and check-out. Rates from $76. River's Edge Motel - 21 recently remodeled guest rooms with coffee maker, some with balconies overlooking the Oconaluftee River. WIFI, pet friendly. Located in the heart of Cherokee. Comfort Suites Cherokee - 91 guest suites with microwave, mini fridge, coffee maker, in-room safe, phone, WIFI. Complimentary breakfast, seasonal outdoor pool and a spa tub, laundry facilities. Rates from $80. Pink Motel - 20 guest rooms with pink tiled bathrooms and pink sheets - a charming throwback to the 50s and referred to as "the best little hotel in Cherokee". All rooms located on the Oconaluftee River, Pet friendly, porch and picnic tables overlooking the river. Holiday Inn express Hotel and Suites - 93 guest rooms with 18 suites. Room windows open. Seasonal outdoor pool, common area Internet, Fitness facilities, business services, Handicapped accessible. Rates from $85. Microtel Inn Suites Cherokee - Guest rooms with coffee makers, windows that open, safes, WIFI, desks, phones, premium cable TV. Complimentary breakfast. Seasonal outdoor pool, picnic tables, laundry facilities, elevator. Unto These Hills is an outdoor drama presenting the history of the Cherokee Indians in a beautiful Mountainside Theatre, mid-June thru late August each year. 2011 Season Dates: June 3 - August 13, Monday - Saturday at 7:30 PM. In 2006, “Unto These Hills” began a new script, new director, new score, new choreography, new set design, new costuming and new cast members ­ all aimed at conveying a more culturally authentic, historically accurate and Cherokee-centered experience. The new play traces the Cherokee people through the aeons, through the zenith of their power, through the heartbreak of the Trail of Tears, finally ending, appropriately, in the present day, where the Cherokee people, much like their newly re-scripted drama, continue to rewrite their place in the world. Cherokee Bonfire Every Fri., Sat. from 7 PM - 9 PM May - Aug - roast marshmallows and enjoy an evening of drama, suspense, beauty and wisdom as Cherokee storytellers weave their ancient stories against the summer’s night sky at the Cherokee Bonfire. Located at Oconaluftee Islands Park. FREE event, seasonal only. Unto These Hill Outdoor Drama June - Aug at Mountainside theatre. Trout Fishing on the Cherokee Reservation Some of the best fishing in the North Carolina mountains can be found int Cherokee NC. 30 miles of streams on the Cherokee Indian Reservation are regularly stocked to add nearly 400,000 to the naturally existing population of fish. Throughout the season, fishing is allowed from one-half hour before sunrise to one-half hour after sunset. Creek limit is ten trout per day per permit holder. For those interested in experiencing fishing on the reservation other than in the streams, three well-stocked ponds are located on Big Cove Road in front of the KOA Campground. Mingo Falls is on the Cherokee Indian Reservation (Qualla Boundary), just outside Great Smoky Mountains National Park. The 120 foot tall waterfall is one of the tallest and most spectacular in the southern Appalachians. The hike to the waterfall is 0.4 miles, but considered moderate in difficulty. Access Trail: Pigeon Creek Trail Trailhead: From Oconaluftee Visitor Center, drive south (toward Cherokee) on US-441 and take the second left onto Big Cove Road. At the first stop sign turn left and drive 4.5 miles to Mingo Falls Campground, where the trail begins. No special permits are required for access to the reservation. The Museum of the Cherokee Indian So begins your trip through the Museum of the Cherokee Indian. Totally renovated in 1998, the new museum tells the story of the Cherokee people using high-tech wizardry along with an extensive artifact collection. Follow the "Trail of Tears" and learn about the language, customs and crafts of a remarkable civilization and people. Oconaluftee Indian Village The wood smoke drifting on the breeze isn't like any you've smelled before. It's not the pure tang of hardwood burned for heat. Nor is it the aroma of a cooking fire, fragrant with baking bread or bubbling broth or roasting meat. There's something earthy about this fire, because it's smoldering pitch pine, firing local Cherokee clay into gleaming blackware pottery. Then again, all the sights, sounds, and scents surrounding you today are novel. In the Oconaluftee Indian Village, it's 1750. Cherokee Heritage Trail - From the serene peaks of the Balsams to the muddy banks of the Little Tennessee River, Cherokee Heritage Trails wind through the southern Appalachians, telling the story of the Cherokee people, Ani-Kituhwa-gi, who once commanded all of the Southern Appalachians. Although most of the Cherokee were forcibly removed to Oklahoma on the Trail of Tears in 1838, a small group remained in their homeland, becoming the Eastern Band of Cherokee Indians. Today they own about 57,000 acres - the Qualla Boundary, a remnant of their ancestral lands. Great Smoky Mountains National Park - 2009 was the 75th anniversary of the Great Smoky Mountains National Park. Ridge upon ridge of endless forest straddles the border between North Carolina and Tennessee in Great Smoky Mountains National Park. World renowned for the diversity of its plant and animal life, the beauty of its ancient mountains, and the quality of its remnants of Southern Appalachian mountain culture, this is America's most visited national park. Mountain Farm Museum at the Oconaluftee Visitor Center is a unique collection of farm buildings assembled from locations throughout the Park. Explore a log farmhouse, barn, apple house, springhouse, and a working blacksmith shop to get a sense of how families may have lived 100 years ago. Most of the structures were built in the late 19th century and move to the current location in the 1950s. The Davis House offers a rare chance to view a log house built from chestnut wood before the chestnut blight decimated the American Chestnut in our forests during the 1930s and early 1940. The Oconaluftee River Trail begins at the farm and follows the River for 1.5 miles to Cherokee. Cades Cove Cades Cove is a lush valley surrounded by mountains and one of the most popular destinations in the Great Smokies. A wide array of historic buildings dating back to the late 19th and early 20th centuries is scattered through-out the cove. These include a grist mill, a variety of barns, three churches, and a collection of log homes and outbuildings. A wide array of historic buildings dating back to the late 19th and early 20th centuries is scattered through-out the cove. A visitor center (open daily), restrooms, and the Cable Mill historic area are located half-way around the 11 mile loop road. Santa's Land Family Theme Park & Zoo Open May through October, 7 days a week. See a magic show in the Jungle Bell Theatre, Get a photo made with Santa,. Visit the zoo with sheep, llamas, mccalls, turkeys, deer, servals, rabbits, pigs, peacocks and the bears. Hand feed the friendly deer. Ride The Rudicoaster and Santa's Express Train. Kids can drive in the Kiddie Car Race, Santa's Helicopter ride, the carousel, the big wheel or Whitebeard's Lake paddle boats. This is an old style fun park that the little ones love. Qualla Arts and Crafts Mutual - Founded in 1946 with the purpose of preserving and advancing Cherokee arts and crafts, the Qualla Arts & Crafts Mutual, Inc., is today the oldest and leading Native American Arts cooperative in the United States. If practice makes perfect, the beauty of Cherokee arts and crafts today should come as no surprise. The Cherokees practice of pottery, basket weaving, and tool-making go back ten thousand years. Of course, we all descend from ancestors who made the needed items of daily life and celebration. Otherwise, we wouldn't be here. Unlike most of us today, the Cherokees are still in touch with their ancient art and craft traditions. Now you can be in touch as well, by bringing home the available, affordable work of contemporary Cherokee masters.